Want to treat your best friend to something sweet? Look no further! In our quest to find the best dog bakery in NYC, we found these 7 places to go when you and your pup are looking for treats. Located in West Village, Dog Town Bites is known for their Biscotti cookies, loved by dogs and owners alike! Made with all natural ingredients the Biscotti can be consumed by people, even if Dog Town Bites made them for your dog. On the other side of Manhattan, Boris & Horton is located in East Village. B&H is a café and pet store combined. Come for the treats, stay for the photobooth that comes with small doggie props. The pet section is also an off-leash zone, if you so choose. You can let your best friend run around while you sip a latte. Château le Woof calls Astoria, Queens home. The bakery puts just as much effort into their human food as their food for dogs. Both kinds of customers can choose from a seasonal specials menu! It also houses a play pen for dogs to play together while their humans chat. 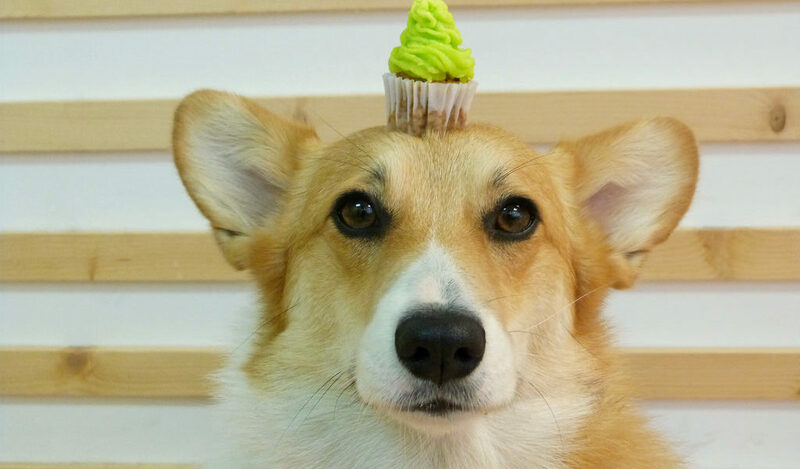 Located in Greenpoint, Brooklyn, District Dog is known for its selection of dog cakes and cupcakes. It’s the perfect spot to pick a centerpiece for your best friend’s birthday celebration. This bakery is in Staten Island. Beggin Dog Bakery will make your dog do just that; there’s a large selection of fresh baked treats that are sold for cheap. BeastyFeast is located in Manhattan’s Meatpacking District, but caters to canines all over the NYC area. It isn’t a bakery so much as a one-stop shop for dog treats that you won’t find in any other pet store! NYC is home to much more than just great dog bakeries. For more, check out our post 20 Dog Friendly Restaurants NYC is Home To.